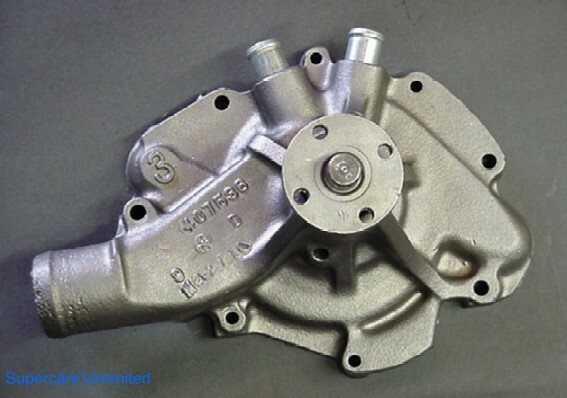 We offer remanufactured water pumps with original casting numbers on a special order basis. We can supply a correct number pump for most 65-72 applications. Although we have a fair supply of most numbers, some applications may take up to four weeks to provide. Please note that as some casting numbers become more difficult to provide, regular customers and customers purchasing a number matching pump along with an engine rebuild kit, etc. will be served first. Our Number Matching Water Pumps are sold on an exchange basis. While we will need a core, it does not need to be the original number. However, cores must have fan hub attached. No cores can be accepted with cracked or broken housings. For more "core deposit" information, see Ordering & Policies section. All pumps include gasket. Call or e-mail with the casting number you would like. Or provide us with your specific vehicle information - year, engine, with or without A/C, H/D cooling, etc.